With recording ability at their fingertips, fans have made concerts multimedia events. Does it hurt, or help? David Lowery doesn’t dread the camera flashes or the crude YouTube videos – in fact he welcomes them. 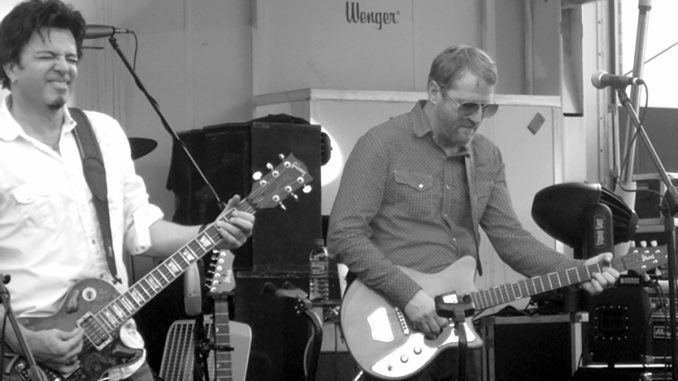 As lead singer for Camper Van Beethoven and Cracker (a pair of bands with faithful followers during decades of work), Lowery embraces his fans’ passion for the live show. You want audio — click right ahead. Candid pictures — here I am. Film it — why not. Now — about this whole texting business . . .
From their beginnings, Lowery’s bands adopted the Grateful Dead’s approach to concerts – you can film, record and take pictures anytime, but you just can’t sell any of it. This attitude made it easy for Lowery and his bandmates to transition into today’s concert scene – where gigs became multimedia events with an endless shelf life splayed across the Internet. But with everyone having recording capabilities that fit in the palm of their hands, is the modern-day concert no longer a collective adventure of the moment? Has it become a roomful of individual multi-taskers, texting and waiting for their favorite song so they can call their best friend and raise the phone high above the flashing din? Are fans devaluing the concert experience? For all the good technology brings, Benjamin Ferguson still misses the mystery. President of Nimbleslick Entertainment, a company managing more than a dozen artists including rock mainstay Perpetual Groove, Ferguson recalls a time when bands’ reputations were built on album covers, hearsay and imagination. It used to be — not too long ago — that being in the music industry meant making records and going out on tour to promote them. Not anymore. Bands are content providers, and it’s through technological ingenuity and reaching out to its fans that a band can rise above the myriad of choices found through a simple Google search. A December report by Billboard Boxscore bears this out. 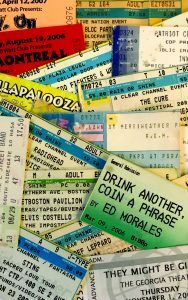 Data between December 2008 and November 2009 shows more than 73 million people worldwide spent a record $4.4 billion in concert revenues, an 11.7 percent increase over the previous year and the second straight year of double-digit growth. In the United States, despite a difficult economy, revenue was steady as more than $1 billion was spent on concerts. Ferguson understands this. It’s through the live show – with its flashes and phones and record buttons – where bands set themselves apart. And those who join in the recording fray with the audience are getting the most mileage. “People are going to be doing this and it’s going to be very difficult to police, so just let it happen,” Ferguson said. 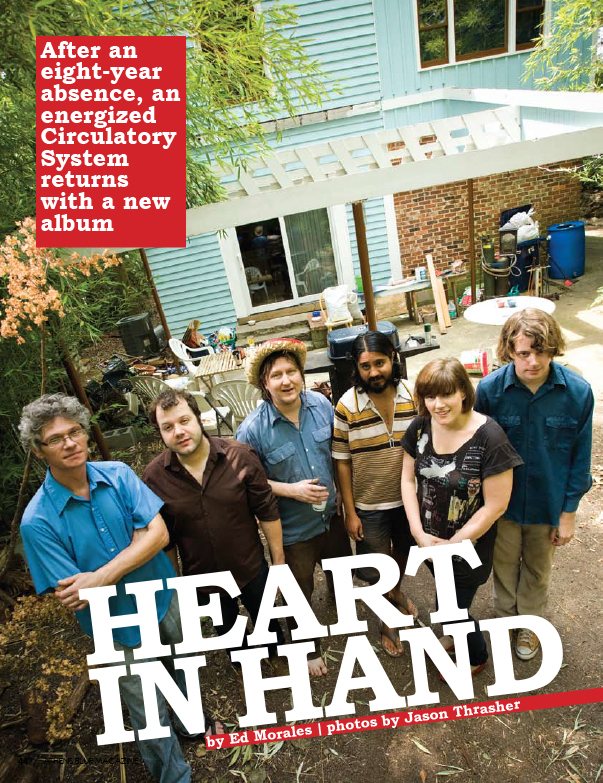 “It adds to the viral factor of band promotions and getting the band’s name out there. From the organizational point of view, we use that stuff quite a bit and there’s an endless amount of ways or applications to go about doing that. We have someone on the road constantly Twittering during the set list, so when the band is playing their songs, he’s putting that out to the Perpetual Groove Twitter list. For PGroove, it extends off the stage as well. All the guys have iPhones, so updating blogs and Web sites can be done anywhere, anytime. The key is keeping fans connected, and so far, it’s working. PGroove shows, in the vein of Phish and Widespread Panic, have found a loyal, well-documented base who go for fun and friends. The proof is on the screen. In the past few years Cracker and Camper added the post-show meet and greet, further breaking down the wall between artist and fan. It’s an easy, and profitable, practice. But this blasting of barriers is not for everyone. Performers as varied as indie crooner M. Ward to country superstar Kenny Chesney have shunned cameras and recording at their shows, posting signs and pulling people out of aisles for shooting out of turn. Vego, whose role as 40 Watt’s booking agent is for the venue to abide by each band’s particular request, doesn’t see many artists seek a camera ban. Still, there are exceptions. Corbett is the CEO of iStrategyLabs, a company based in Washington D.C. whose mission is to help its clients “connect with audiences online” and “create experiences in the real world that satisfy a brand’s need to engage its target audience in a deep and meaningful way.” Simply put, Corbett helps his clients reach the largest audience they can with all the digital tools they can muster. Boasting clients such as American Outfitters and Corona, Corbett doesn’t see how a band can survive without using everything at its disposal. And financial stability. By not making an effort to compile images and recordings from their fans in one place, bands miss out an opportunity to bring the community into a main marketplace. Then again, at a certain level of superstardom, limiting your fan base from doing this or that doesn’t much matter to your bottom line. In Forbes 2009 poll of the top-earning musicians, one country act rises millions above the rest: Kenny Chesney, with a cool $65 million. How’s that for a snapshot? For bands going too far in the other direction – completely bowing to the whims of every fan out there – there’s trouble to be had. Ferguson’s role with his bands is keeping a balance of what gets shared and what gets saved. On one hand, you want your fans to be informed and happy; on the other, if everything is known, what sense of discovery remains? At that point, a band might start to lose what gained them those fans in the first place, which could prove fatal in a musical environment thriving as it moves into a new decade. So it’s all a matter of timing. Bands today have the luxury of added exposure, but lose the ability to take time finding their way. One bad night, one disgruntled message board pest, one misplaced mic, and a career could end before it starts. There’s no place to hide, and lack of privacy and time to develop could keep a hidden gem from finding its rightful audience. Imagine there’s no “Stairway to Heaven”? In our digital world it’s easy, if you try.